A similar agreement with the airline’s pilots union is necessary before Southwest can seriously move forward. The airline currently operates a fleet of Boeing planes, comprised of mostly 737-700s and -500s, which are configured to seat 137 passengers. The airline also flies two dozen -500s, which seat 122. The 737-800 would seat around 175 passengers, an increase in capacity of roughly 22 percent over Southwest’s current largest planes. For Southwest, the larger planes offer all sorts of flexibility, including the ability to consolidate traffic into and out of congested airports. One likely concern, however, is whether or not the extra time required to load and unload the larger planes will fit into Southwest’s strategy of quick turnarounds. 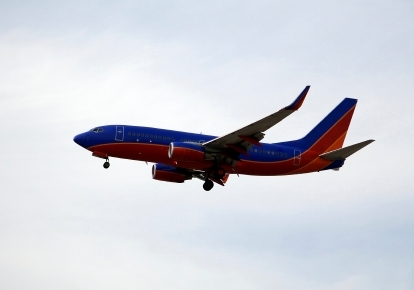 Readers, what do you think about Southwest adding bigger planes? Good move or bad move?